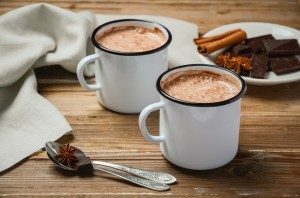 It safe with a traditional recipe that reminds you of childhood, or are you more adventurous, willing to take the hot chocolate road less traveled? Whatever your style, Reams has all of the ingredients you need to make that hot cocoa that tastes just right. Here are a few of our favorite recipes for you to try! In a small sauce pan, heat the milk over medium heat. Whisk in all of the remaining ingredients. Continue whisking until milk is steamy. For an even more decadent hot chocolate, drop in a square of your favorite bittersweet chocolate. Serve immediately with a dollop of unsweetened whipped cream, chocolate shavings, or a few marshmallows. Combine the milk, hot cocoa mix, sugar and canned pumpkin into a saucepan and place on medium heat. Stir the contents of the saucepan until it begins to steam, then remove it from the stove and add the spice and vanilla. Pour the mixture into a blender and blend for 15-20 seconds. Once the content has been blended, pour it into a cup and enjoy! In a saucepan on medium heat, heat the milk and half-and-half to just below the simmering point. Remove the pan from the heat and add the white chocolate. When the chocolate is melted, add the vanilla, vanilla bean seeds, and 1/4 to 1/3 cup orange liqueur, according to taste, and whisk vigorously. Reheat very gently and serve. 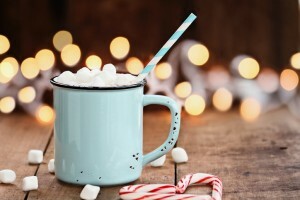 Which hot chocolate recipe are you most excited to try first?